ATOKA, Tenn. — Brandon Lovelace is a sprint car driver with a story; one that has inspired countless other racers of all ages from across the country. Lovelace, 16, is a 305 sprint car regular who fights — and overcomes — the effects of cystic fibrosis (CF) in his everyday life to race at a high level with his family-owned SNL Racing team in Tennessee and beyond. Cystic fibrosis is a genetic disorder that mostly affects the lungs, with excess mucus leading to clogging of the lungs’ airways. Long-term issues include difficulty breathing and coughing up mucus as a result of possible lung infections, but Lovelace has a regular system in place that helps him combat the symptoms of CF. Lovelace’s first dream wasn’t actually in racing, however; but in the field of military service. And what Lovelace can do is race. Competing last season in his first full year with the 305 sprint car, Lovelace has his eyes set on the Mid-South Sprint Car Association schedule this year, but his racing story doesn’t start there. In fact, he’ll tell you: it’s a pretty funny one. Lovelace’s career started in 2007 in dirt go-karts, and within six months he had won his first race in the novice sportsman champ class – appropriately on Mother’s Day weekend. Up through the 2013 season, Lovelace took the kart world by storm. That final season in the division, he raced three different karts that year — an aqua sportsman champ kart, a junior champ kart and a junior clone 2 kart. That season also yielded a big moment, as Lovelace collected the track championship at Atoka Raceway Park, his true ‘home track’. I am so proud of you big bro! You are unstoppable and you sure have a lot more courage than I do. 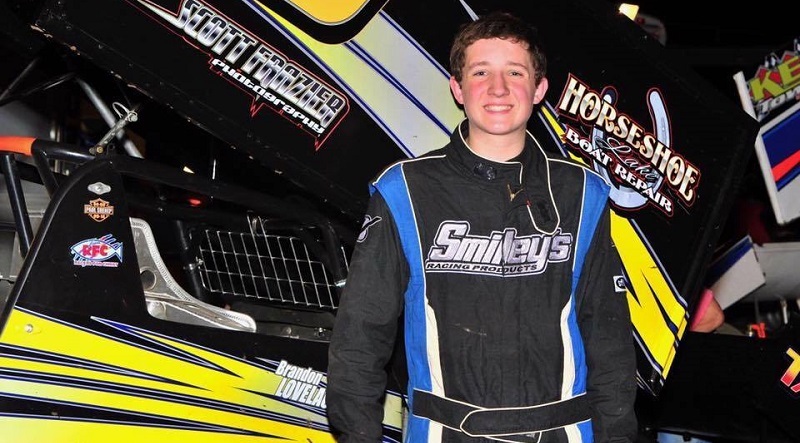 I want you to know that you are the most amazing sprint car driver I have ever seen and that I think the hold world of racing should watch their backs… because you can do anything that you set your mind to, with or without your CF holding you down.